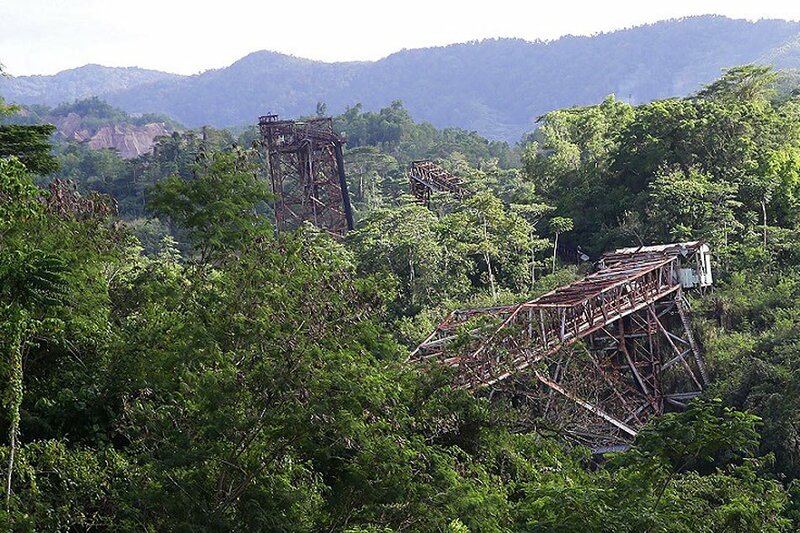 The people of this island province have endured the brunt of the worst mining disaster in the country, but the bigger heartbreak in their two-decade-long quest for justice might just be the wait for redress that is not sure to come. There’s nothing more tragic than to hear stories repeatedly told, but nothing done. 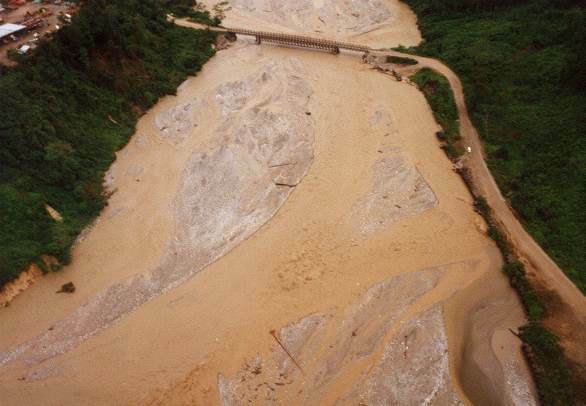 It’s been 23 years since March 24, 1996, when a badly- sealed drainage tunnel in Marcopper Mining Corporation’s Taipan pit burst, spilling 1.6 million cubic meters of toxic mine tailings that choked Boac River, flooded villages and killed marine life. One village, Barangay Hinapulan, was buried in six feet of muddy floodwater, displacing 400 families. Cows, pigs and sheep including pets were poisoned and died. Crops were destroyed. Boac River, a source of sustenance for surrounding communities, was declared unsafe. Three years before that, the company’s Maguila-guila siltation dam also burst, flooding the town of Mogpog, where two children drowned in the mine waste. 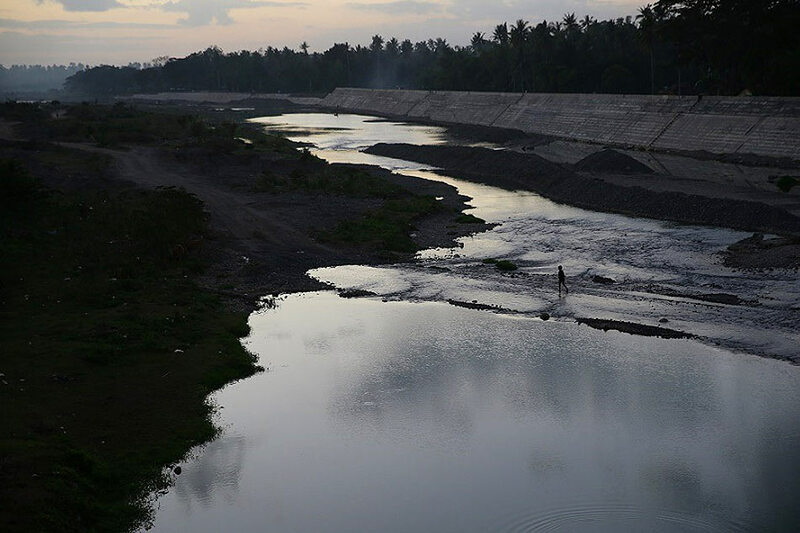 Soon after the mining disaster, the United States Geological Survey said in a study that the Makulapnit and Maguila-guila siltation dams were in danger of collapsing. In 2001, Canadian research firm Klohn Crippen – hired by Marcopper’s Canadian mother company Placer Dome Inc. as consultant – issued a similar warning. “They are a clear and present danger to us,” said Joven Lilles of the dams. Lilles is the provincial government’s environmental management specialist and is part of the province’s disaster management council. 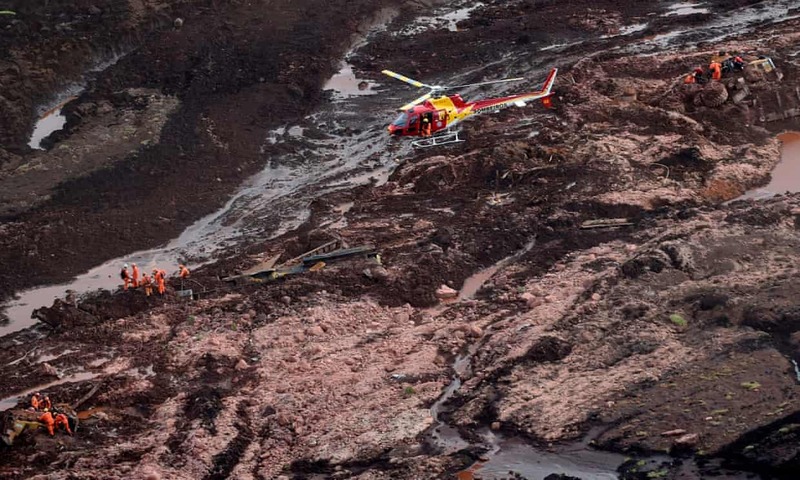 Catherine Coumans, research and Asia-Pacific program coordinator of Mining Watch Canada told Vera Files in an email that a lot of mine waste remains at the mine site. Marcopper started operations on Marinduque in 1969. “The acute danger is being swept away by the waste and drowning in it,” said Coumans, who had lived on the island for two years before the 1996 mine spill. The last known inspection of the Marcopper property was done on January 23, 2017 by the office of Marinduque Representative Lord Allan Jay Velasco, together with engineers and geologists of the Department of Environment and Natural Resources and Mines and Geosciences Bureau’s regional office. 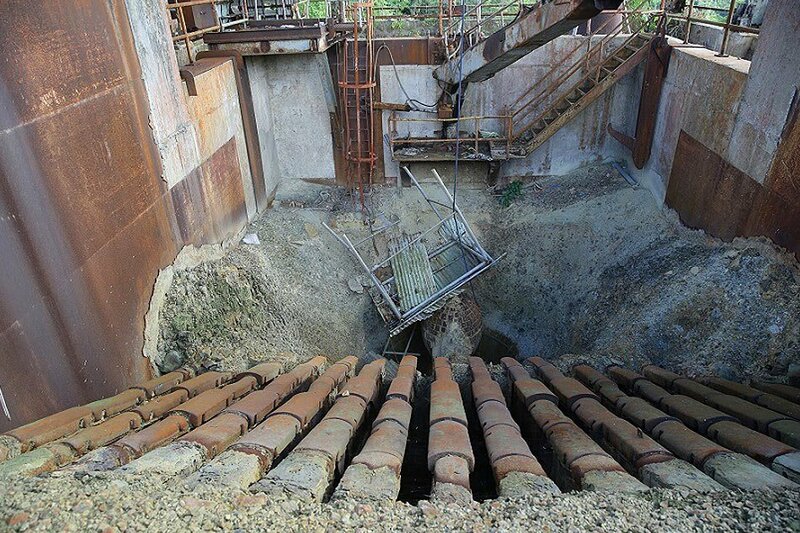 The team discovered a leak in the Upper Makulapnit Dam and heavy siltation in the Maguila-guila spillway tunnel. That prompted Velasco to ask the MGB to regularly inspect structures within the Marcopper site, a task that’s not easy because the area is off-limits. But the MGB and provincial officials, managed to find ways to get information. “possible seepage” from the Tapian Pit observed at the Lower Makulapnit Dam. But what “needs the most immediate attention,” the MGB team said, is the Maguila-guila siltation dam as also pointed out by the USGS and KhlonCrippen reports 20 years ago. “Since the water flowing through the spillway has no viable exit point due to the siltation clog, there is a possibility that the water pressure will build up and force its way out through the existing structures, causing damage to the latter,” the briefing paper said. After its last visit to the MMC premises, the MGB team found out water has decreased to ground level. “However, there is still an increased amount of siltation inside the facility which may clog the hole of the down-drain tunnel,” the briefing paper added. In 1990, residents of Mogpog town, comprised of 13 villages, had opposed the building of the Maguila-guila dam, but Marcopper was allowed to construct it the next year. The dam was needed as another repository for the San Antonio pit’s waste which the Tapian pit would not be able to hold. MGB’s regional director Roland de Jesus said his office plans to secure the dams and waterways near the mining site. However, the safety features, estimated to cost some P25 million, will be built outside the Marcopper property because “legalities” prevent even government officials from entering the site. “There’s a continuous monitoring being done in the area. There’s sufficient time to install the prevention design,” De Jesus said. But who is really responsible for the dams’ repair? “This question is critically important,” Coumans said. It leads to the complicated and tricky ownership of the Marcopper mining site, the structures inside it, and everything left behind by MMC and Placer Dome, Inc., and Placer Dome Technical Services Inc., a subsidiary set up by Placer Dome in 1997 to clean up the mine spill. Placer Dome, Inc. owned 40 percent of Marcopper shares but divested from it a year after the mine spill. Five years later, it closed its Philippine office. In 2006, the Toronto-based Barrick Gold Corporation, the world’s largest gold mining company, acquired Placer Dome, Inc.’s remaining common shares. “It is a subsidiary corporation of Placer Dome, Inc. (Placer Dome), a foreign corporation which owns 40% of respondent Marcopper Mining Corporation,” it said. She said MR Holdings, possibly still the legal owner of assets and mineral rights at the site, has not maintained the area and neither has F Holdings. “Unless Marinduqueños find a way to hold MR Holdings’ parent company, now presumably Barrick Gold, to account, the state will likely have to step in to maintain the mine structures in order to protect Marinduqueños,” she added. More often than not, it is difficult to enter Marcopper’s abandoned mine site. Provincial officers like Lilles had been denied entry several times. Even then Environment Secretary Gina Lopez was said to not have been allowed to inspect the area. But there was no guard in sight when Vera Files went there one afternoon in February. The guide surmised the guards may have skipped work that day. The area looked like a ghost town. The power lines had collapsed, the wires a tangled mess on the ground. The doors of a warehouse, a backhoe, a couple of vehicles, even the crushing machinery were decaying and rusty. “MR Holdings” was painted on the primary crusher. In its heyday, the Marcopper site was like a “city within the forest” with first class apartments and amenities, including a golf course, the guide said. No trace of that upscale community remains. 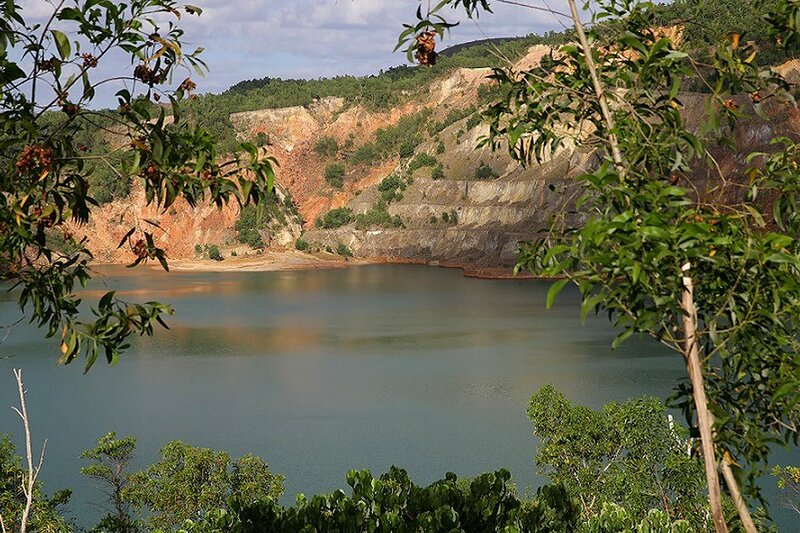 From a hill, Tapian and San Antonio pits looked like serene lakes surrounded by lush trees. But Coumans cautioned that the bluish green water is highly toxic. “The pit water will be acidic and the strange color in the shallower areas is metal leaching, likely copper sulphate,” she said. Heavily silted with mine tailings, Boac and Mogpog rivers are both considered biologically dead. Lilles said no carabao drinks water from Mogpog river because of its high acidity. Even the coconut trees along Mogpog river have been slowly poisoned, dying one by one. Boac river is less acidic because of the mix of “mineral and criminal water” that it gets from two different tributaries. “The mineral, or clean, water comes from its upper tributaries in the villages of Canat, Bayote, and Tambunan. The criminal water is from Upper Hinapulan and Makulapnit, and the Bol river, all of which have been contaminated by the mine tailings,” Lilles said. 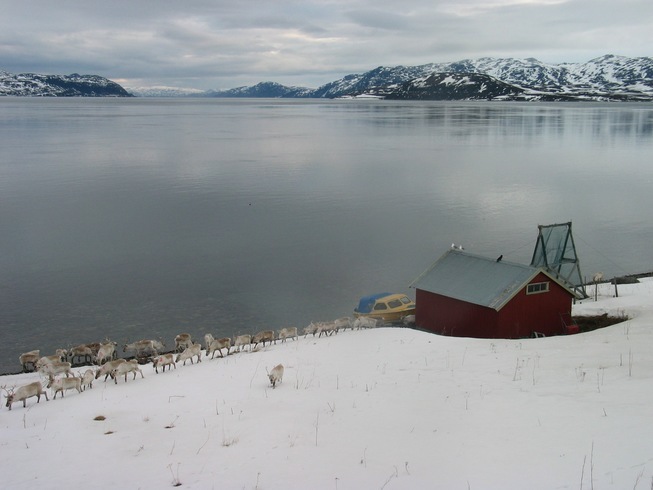 The Norwegian government has granted a permit for a new copper mine at Repparfjord, Finnmark, that will dump its waste into a protected national salmon fjord. “This is one of the most environmentally damaging industrial projects in Norwegian history,” commented Silje Ask Lundberg, leader of Friends of the Earth Norway. Two million tonnes of heavy metal waste will be dumped every year by the company Nussir – the equivalent of 17 lorry loads every hour – into a fjord given special protection to conserve the salmon population. Populations of cod, pollock, Atlantic herring, haddock, halibut, and flatfish will also be affected. “Dumping of mining waste will kill every living thing on the ocean floor in the immediate area and disturb spawning grounds over a much greater distance. Scientists have repeatedly warned against dumping. This decision shows conclusively that the government does not take the fight to conserve ocean life seriously, and would rather prioritise short-term profit over conservation and sustainability,” added Ask Lundberg. Earlier mine waste dumping in the same fjord, at a lower level than planned in the project approved today, led to a large drop in the salmon populations that took 13 years to recover. Cod populations have still not returned to their former spawning grounds. 2,500 Norwegians have signed up for civil disobedience against the project should it go ahead, including members of Nature and Youth (Young Friends of the Earth Norway). The Sami Parliament, representing the indigenous Sami people, has also opposed the plans. The Norwegian government itself has agreed a four-year moratorium on new projects planning to dump mine waste in other fjords. Norway is one of only five countries in the world that still allows mine waste dumping in its seas. “For the tailings we will make sure we get independent legal experts to inform the government independently that the dam will not collapse under any earthquake or whatever scale of disaster,” Mr Maru said. Three Sepik leaders have openly thrown their support for the Frieda mine project to proceed. Yangoru-Saussia MP and National Planning Minister, Richard Maru, Telefomin MP and Defense Minister, Solan Mirism and Ambunti-Dreikiki MP Johnson Wapunai gave their public support in a conference with the media in Port Moresby. “We are here to tell the nation, as Sepik leaders, we are right behind this project, and no cheap politics and no one will compromise this interest. “This project must go on, provided that the environment is not compromised in any way. “So I say to the developer, we the Sepik leaders will make sure the Sepik River is not compromised, and we’re happy the slurry is coming down by pipeline. 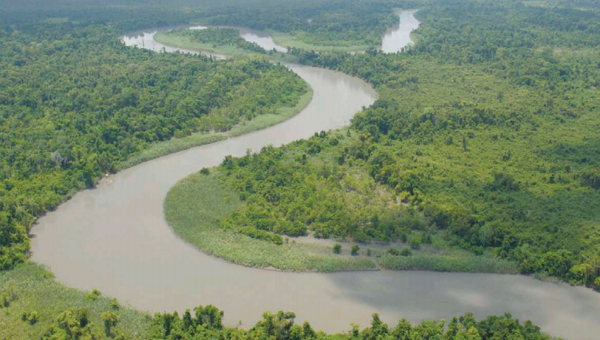 Frieda River Project is located in the provinces of West Sepik and East Sepik. It is one of the biggest copper and gold deposits found in the Asia-Pacific region. The mine is jointly owned by PanAust (80%) and Highlands Pacific (20%). PanAust acquired the majority stake earlier held by Glencore in August 2014, becoming operator of the mine. The acquisition agreement was made in October 2013. The mine will be developed as an open cut operation. Based on the pre-feasibility study completed in October 2010, the mine was expected to produce 246,000t of copper and 379,000 ounces (oz) of gold annually. The estimated mine lifespan was more than 20 years. A due diligence evaluation held by PanAust and Highlands Pacific however estimated average annual production of 125,000t of copper and 200,000oz of gold in concentrate assuming a processing rate of 30 million tonnes per annum. Six main deposits, namely Horse, Ivaal, Truki, Nena, Koki and Ekwai, have been identified at the Frieda River copper and gold mine. 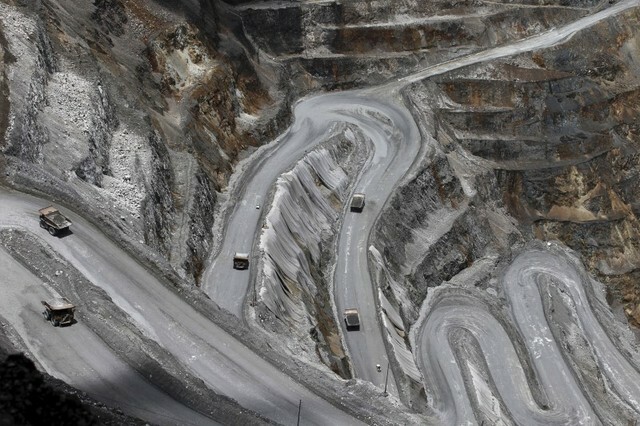 Indonesia’s parliament has asked the government to recalculate damage to the environment from the giant Grasberg copper mine operated by the local unit of Freeport McMoRan Inc, the environment ministry said. The audit also said Freeport Indonesia (PT FI) had missed royalty payments, cleared thousands of hectares of protected forest and began mining underground without environmental clearance. The environmental issues have presented problems for Freeport and Indonesia, whose state-owned mining holding company, PT Inalum, hopes to finalize a $3.9 billion deal to acquire a majority stake in Grasberg this year. “Commission VII asks the Environment Minister to calculate the value of environmental losses resulting from damage and pollution from PT FI operations, as per the findings of the BPK,” Commission VII chairman Gus Irawan Pasaribu said, according to the statement. Jakarta-based spokesmen for PTFI and Inalum did not immediately respond to a written request for comment. Indonesia’s mining minister said earlier this month the environmental matters must be resolved before his office could issue a new mining permit for PT-FI up to 2031. Sadikin said a forestry permit for the mine still needed to be issued, and “the 185 trillion rupiah ($12.80 billion) from tailings damage still needs to be cleared up” although he was confident that all the environmental problems could be resolved. A COMMISSION of inquiry into the OK Tedi issue, the environment damage and the establishment of the PNG Sustainable Development Program will be set up. Prime Minister Peter O’Neill announced this in Parliament yesterday. “Papua New Guineans deserve to know the truth, not just colouring of the truth so that it suits somebody’s interest, they deserve to know the truth and that’s why I have decided to establish a commission of inquiry,” he said. Mr O’Neill said he would get an independent person, possibly an Australian judge, to carry out the investigation. He also said the State had also engaged the biggest environmental law firm in Australia, Slater and Gordon, to review the case that was done by Rex Dagi so that the PNG Government itself takes out the court case against BHP. “We have to sue this company for the substantial environmental damage they have caused to our people,” he said. Mr O’Neill was answering questions from South Fly MP Sekie Agisa who, during Question Time, asked the PM what the government and OK Tedi were doing to mitigate the environment damage to Western Province. Mr O’Neill said the issue about the environmental damage to Western Province has been well publicised, well debated and well documented. “It is certainly a sad story which successive governments had no due care for the welfare of their own people and protected the interest of the big mining giants and was given protection in fact by legislations passed by this parliament,” he said. He said the saga is continuing with the PNG Sustainable Development Program that was established as part of that compensation program by the then Morauta Government while giving indemnity and legislative protection to BHP. “BHP walked away unchallenged for their responsibilities that they had to the people of Western Province on the massive environmental damage they have conducted while they were managing OK Tedi, that is a proven fact. 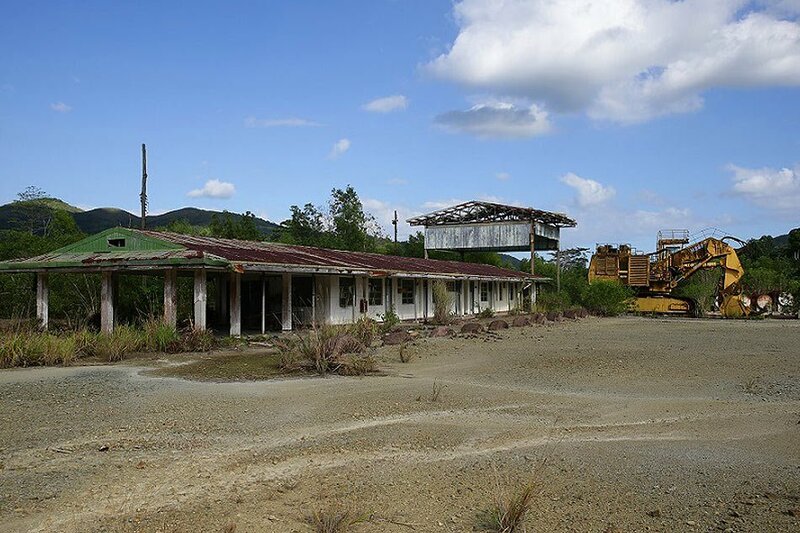 “I know that our people have now taken over the mine and I know there are certain improvements in the way they manage their waste in OK Tedi, but I feel that this is a question that still lingers in the mindset of our people,” he said. He said PNGSDP is now subject to a court case in Singapore between the State and the directors of PNGSDP.